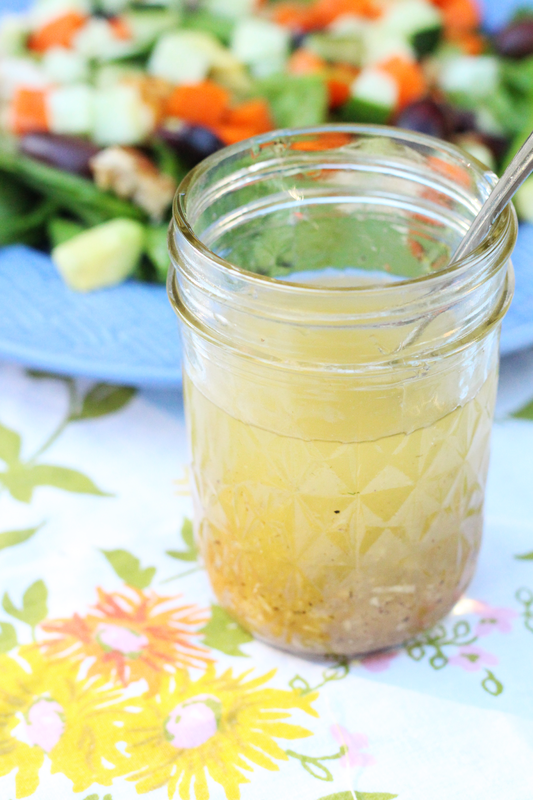 The best dressing that I have ever had was this lemon garlic dressing from Tessemae's. I gave out samples for them and fell in love. All of their dressings are made with very few ingredients, all of which are real things. Which is great, because we all want to know what we are eating, right? This one in particular is made with 5 ingredients. 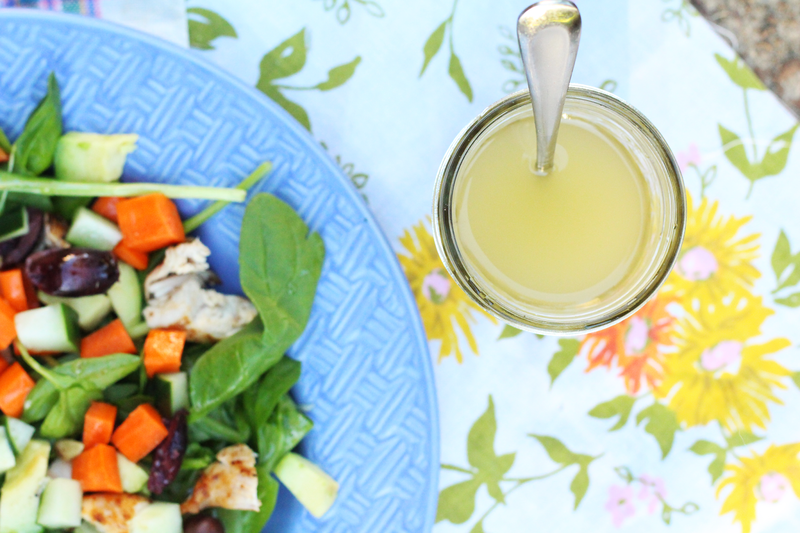 So when I decided that I wanted to make a dressing with coconut oil, this is the one I wanted to try to recreate. But also, it's only 5 ingredients... so it's not complicated at all. Now this dressing doesn't sit mixed for very long. 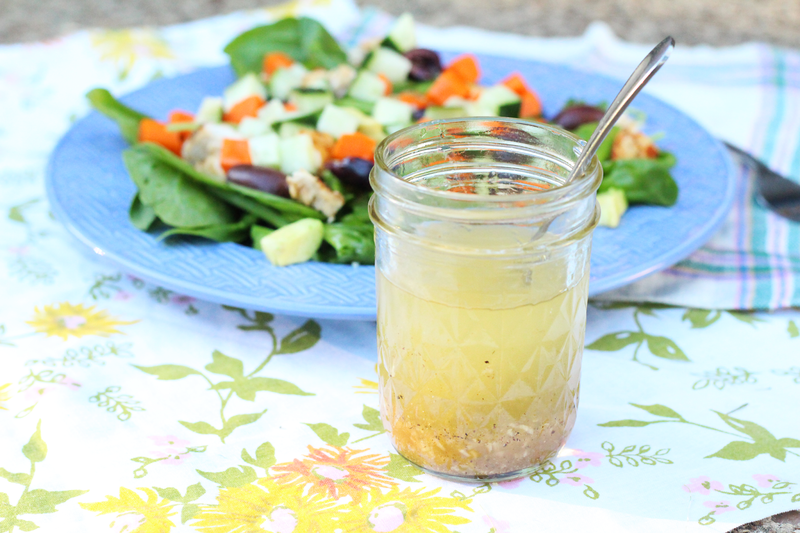 I store the dressing in a small mason jar with a lid on the counter. I use a spoon rather than pouring it from the jar though. It's delicious! Try not to drink it though... I was pretty tempted to do that myself.